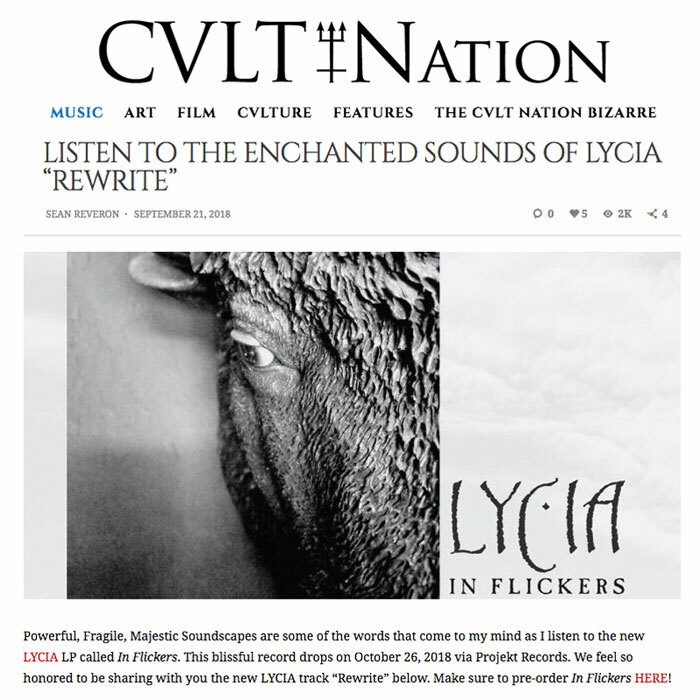 October 26th is the estimated ship date for LYCIA’s new Projekt release, In Flickers. While you’re waiting on your copy, preview the track “Rewrite” at CVLTNation. the Lycia LPs are limited editions of 150 per style, and they are selling quickly!